You can search this up-to-date map by region, year, gender, name, etc. No RSVP needed/just show up! 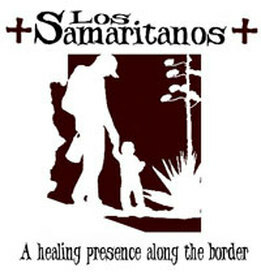 www.gvs-samaritans.org For information about Green Valley Samaritans. Welcoming the Stranger has put thousands of immigrants and refugees on a path toward citizenship since it was founded in Langhorne in 1999. ​“Since the Bill Clinton administration’s initiation of Operation Gatekeeper in 1994, Border Patrol agents have increased from 4,000 to almost 21,000 (mostly on the southern divide), and annual budgets for border and immigration enforcement have gone from $1.5 billion in 1994 to $23 billion in 2018 (if you combine Customs and Border Protection and Immigration and Customs Enforcement). Is the Trump Administration Making Immigrants Pay $800 for DNA Tests to Get Their Children Back? The Trump administration made immigrants pay $800 for DNA tests in order to get back children taken under its "zero tolerance" policy. Ramos writes: "I spent 11 months in US immigration detention. Here's what happened." A group scours the southwest border for the remains of immigrants who perished trying to cross it. Most of the men and women searching are immigrants themselves. A federal judge in San Diego granted a request to delay deportations of migrant parents who have recently been reunited with their children. Spagat writes: "A federal judge on Monday ordered a temporary halt to any deportations of reunited families who were separated by the Trump administration after crossing the southwest border." The Trump administration is selectively enforcing immigration laws at the border. ... I teach and practice immigration law, and I am a mother. A Guatemalan family wanted to “leave behind everything bad.” Ahead, though, was “a huge torment” that still haunts them. Maria and E.D. are among the thousands of migrants who have said they were abused in the past 10 years while in the custody of Immigration and Customs Enforcement. Miller writes: "When the 8-year-old stepped off a plane here earlier this month with freshly cut bangs and a shelter-issued sweatsuit, she was met by crowds and television cameras and finally, in a carpeted airport conference room, by the mother who had been taken from her two months earlier at the border." The for-profit, private Florida club—which the president has dubbed the “Winter White House”—has plans to hire 61 foreign workers to serve as cooks and waiters for the winter social season. This regulation allows international entrepreneurs to temporarily enter the United States to grow businesses—yet the Trump administration wants to end it. A federal judge gave the Trump administration 30 days to reunite all families and 14 days to reunite children under the age of five. The government has currently identified 102 children under the age of five and as many as 2,900 children over five who it had separated from their parents under the zero tolerance policy. Many immigrant detainees are held in conditions that threaten their health and safety, or which fail to respect their basic rights. U.S. Citizenship and Immigration Services issued new guidance to initiate deportation proceedings for thousands of applicants denied for any immigration benefit. This policy change will have far-reaching implications for many of those interacting with the agency, but also signals a major shift in how USCIS operates. "The federal government continues forcibly removing minors from their parents at the U.S.-Mexico border, in violation of President Donald Trump's executive order calling for an end to the practice, as well as a court ruling asking his administration to reunite the families, a Texas migrants rights group alleged Friday." For thousands of migrants separated from their children at the border, the trauma comes in the waiting. Amy Goodman and Renee Feltz, Democracy Now! Excerpt: "Two days after a court-imposed deadline, the Trump administration said Thursday that just 57 of more than 100 children under the age of 5 have been reunited with their parents after they were separated at the border under the 'zero tolerance' policy."